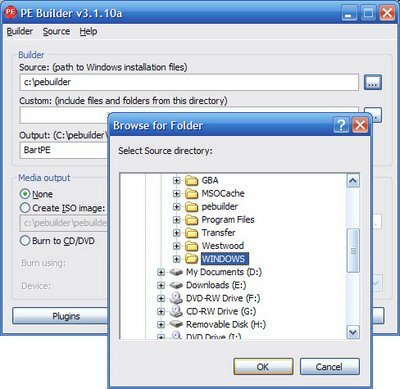 This howto will demonstrate how to keep all of your data while reinstalling Windows without copying it off of your hard drive. 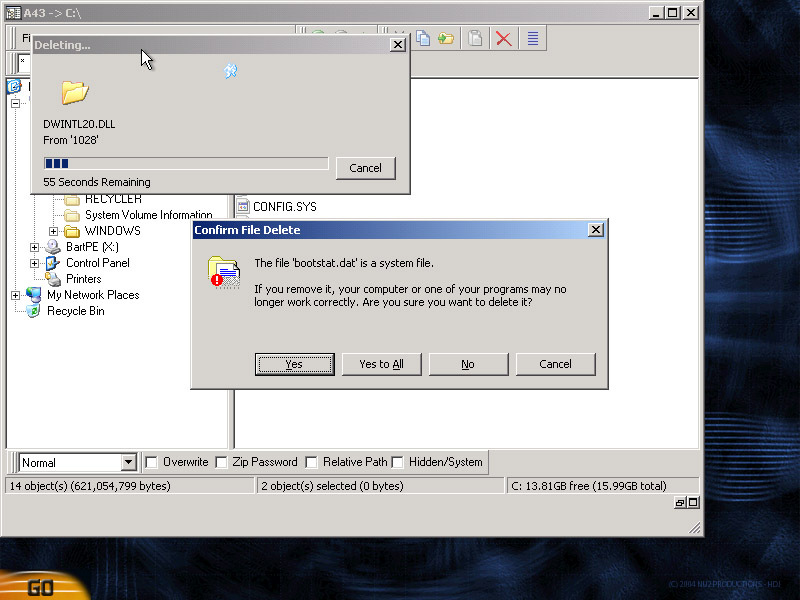 This will only work if you have a Windows XP CD or a real source to install it from, NOT a manufactures "Restore CD" which reloads all the junk it came with. I have seen people on the internet dread reinstalling Windows because it takes so long to backup gigabytes of data and to restore it later! I have found a way that makes it so you do not have to go through the whole hassle! Read on to find out! 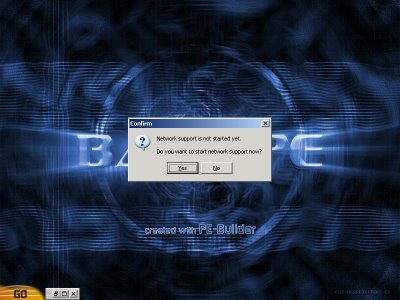 This guide will show how to create a Bart PE (Preinstalled Environment) live Windows CD and how to use that CD to make the reinstallation of Windows easier. 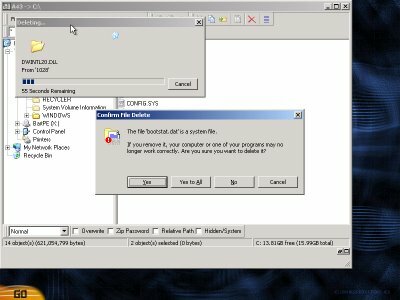 You will need a Windows XP CD (The I386 directory some manufactures put on the computers in either C:\ or C:\Windows\ Might work) or installation source to be able to use this guide. You will also need a CD burner and a blank CD-R.
First, download the latest version of Bart PE self-installing package from here and install it to the default directory. Now launch PE Builder and agree to the prompt. If you know exactly where your installation files are or have a Windows XP CD do not have it automatically search for files, if not let it search for them. 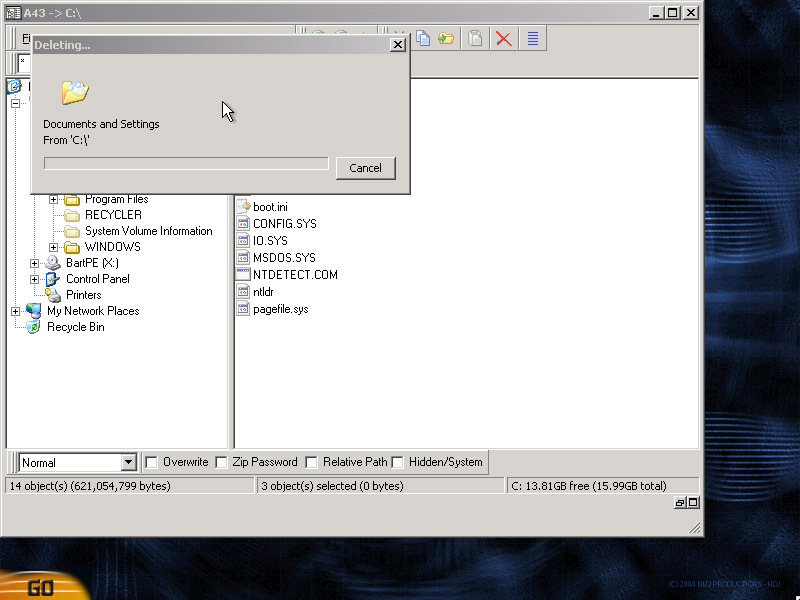 Press Create ISO image and then press Build. Let it create any directories it wants and press agree again. And wait for building to be complete. 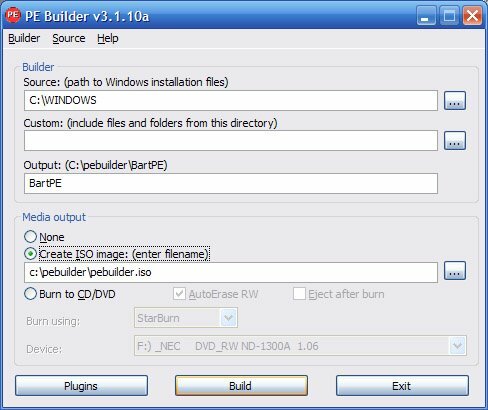 Now close PE Builder and burn the created ISO file to a blank CD. You now have a Windows Live CD capable of helping restore files if Windows crashes or allows you to install a fresh copy of Windows without being troubled with the hassle of backing up your files. 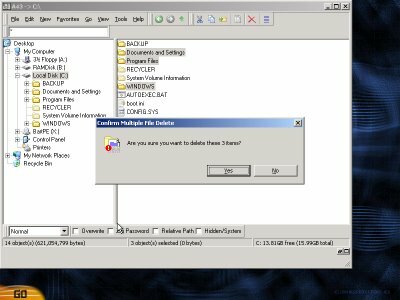 The next part of this howto will show how to boot up Bart PE and prepare your files so they do not get deleted when installing a fresh copy of Windows. To boot Bart PE, simply put it in your CD drive and restart your computer. Make sure your computer is set to boot from the CD drive or if you have a fairly new computer or motherboard you can bring up a boot menu by pressing either F8 F11 or F12 (depending on your computer) and select the CD drive Bart PE is in. Once it is booted up, it should look like this. You do not need to setup a network connection so if it asks you press no. Now you need to move your files to a safe place on the hard drive so they do not get deleted. This is done by using the file manager called A43. Make a new folder in your C:\ Drive, I called mine BACKUP. 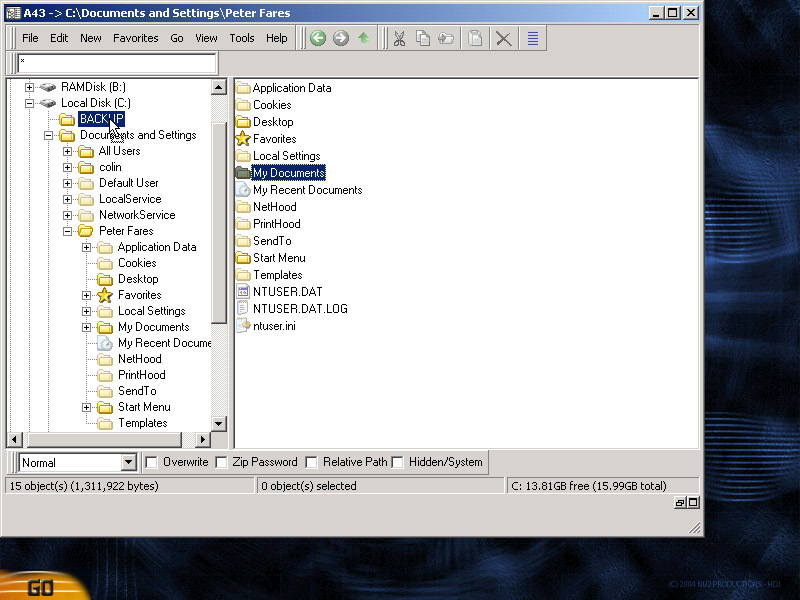 I want to backup my My Documents folder, so I will navigate to C:\Documents and Settings\YOUR USERNAME\ and move My Documents into my BACKUP folder. If there are multiple users you may want to backup the other My Documents. 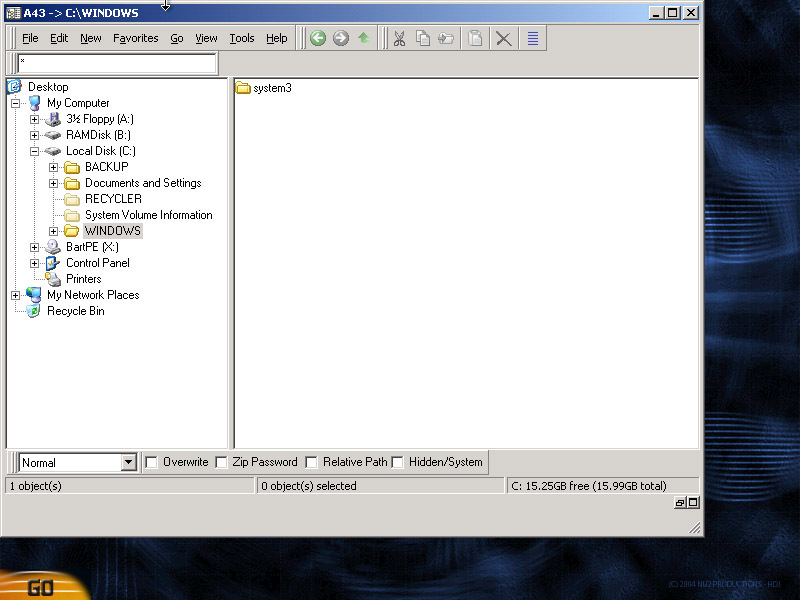 You may also move other folders into your BACKUP folder, for example I will move my Python24 folder. Once you are sure you have moved all the files you want, it is time to delete all folders but the BACKUP folder. 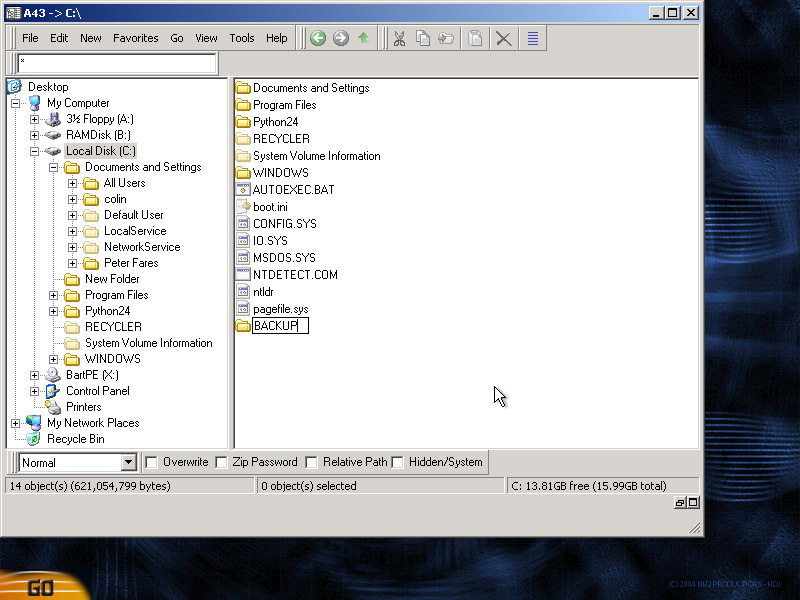 There is always Windows, Program Files, Documents and Settings and there may be other folders. You should also delete boot.ini if you only have one operating system installed on your computer. Don't try to delete RECYCLER or System Volume Information. To delete the extra folders, select them and hold shift then press delete. This will make sure they are not sent to the recycle bin and are deleted for sure. If there is an error deleting a file and the deleting process ends, you will have to go into the folder that caused the error (like if it was in Windows) and delete folders one by one until you find the one that says it can not be deleted. Just rename it to junk continue deleting all the other folders. For example, the something in my WINDOWS folder was causing an error, so I went in and deleted things one by one until I got to System32 which caused an error, so I renamed it to System3 so for when I reinstall Windows it does not cause an error. Also the user colin in Documents and Settings was causing an error so I delete all the files I can inside it and rename it to junk. You can now turn off your computer and proceed to install Windows. Once installed, you still have all the files you put into your Backup folder. You may now move them to their correct locations.